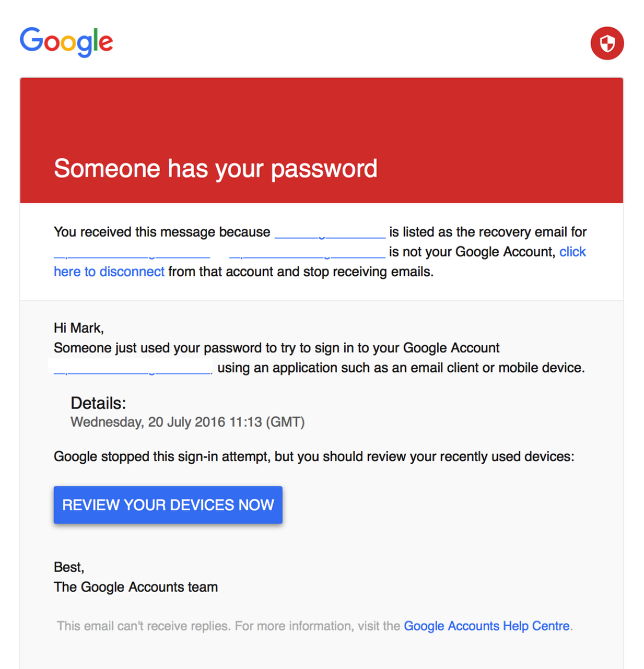 If your email account is provided by Google Mail you may receive an error when syncing your emails for the first time. 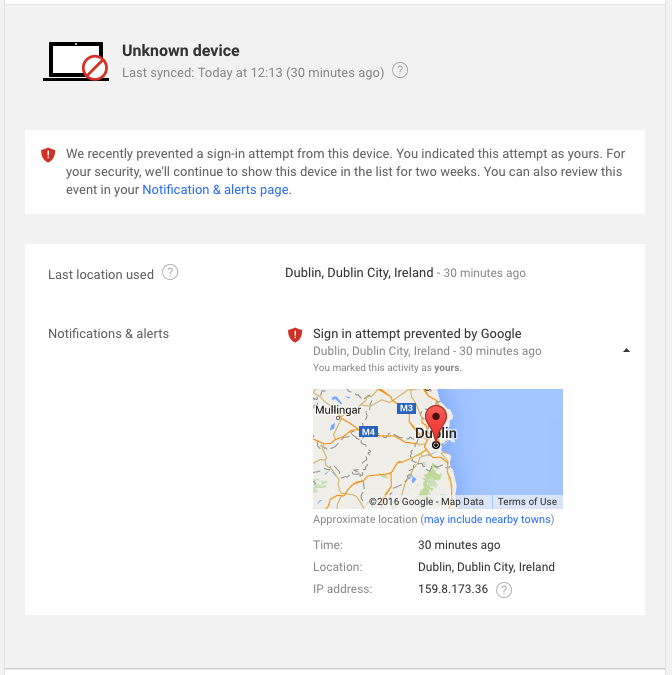 If the Google account is attached to an Android Device, you will have a notification here informing you of the unknown login. Clicking 'Review Your Devices Now' will give you the option to enable the account. You will see something similar to the following image. The 'Unknown device' will need activating. You will be able to select it. 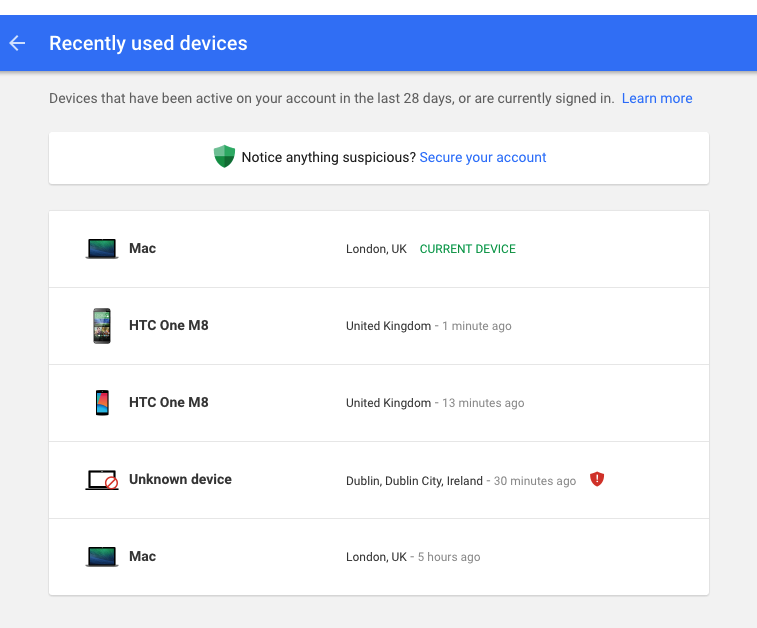 This will take you to the following page where you will be able to authenticate the device.